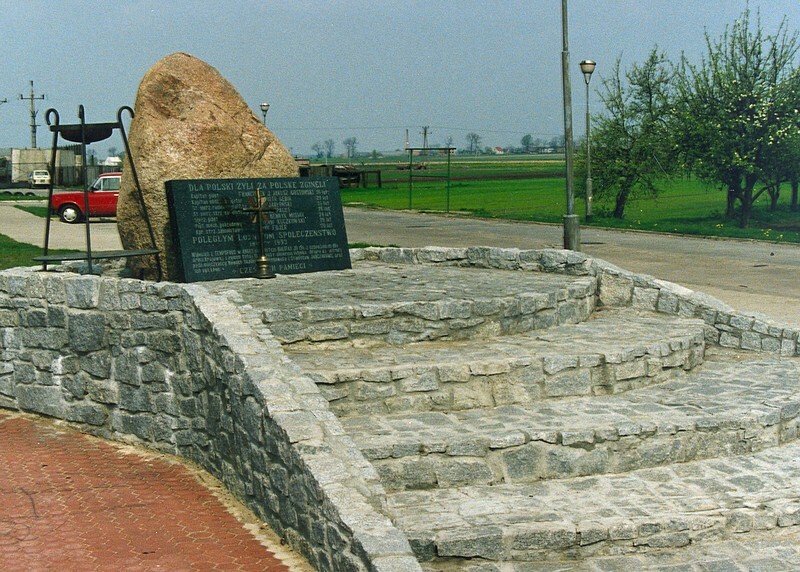 Monument at Nowe Skalmierzyce, Poland, dedicated to the crew of Halifax JD154. Polish Home Army (AK) to drop ammunition and other equipment at Ołobok, Poland. Because they could not find drop zone the pilot circled in that area. Cause of his mistake airplane hit one building on street "Kaliska" at Nowe Skalmierzyce. Three residents Stanisław and Genowefa Janczak and their son Leon died. Initially they were buried at Nowe Skalmierzyce. After the war the graves were exhumed and transferred to Poznań. 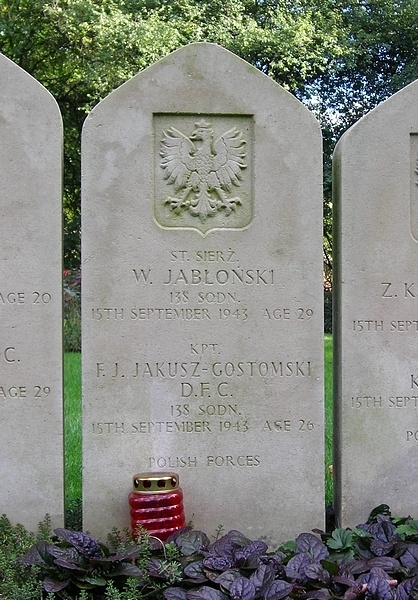 About three Polish officers buried in the Old Garrison Cemetery at Poznań. ppor. lac. rez. Lewko Kazimierz or "Palec"
ppor. lac. rez. Siakiewicz Wadysław or "Mruk"
ppor. lac. rez. 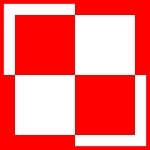 Skowronski Ryszard Kazimierz or "Lechita"
secret agents of the "Cichociemni" being the Polish SOE. Some sources says that the mentioned secret agents belonged to Halifax JD 154. They died in cause of crash Halifax JD 269 near Esbjerg, Denmark. The reason why they have graves at Poznań is not known. Took off on 18:04 hours from Tempsford, U.K.
Operation: SOE to Neon 9 in Poland. Dropzone Pierzyna 206 near Minsk. hours near the railroad line Esbjerg-Varde 6 kilometers north of Esbjerg killing all onboard. 180.000 US $ as well as sub machine guns, machine guns and a mortar with ammunition. Air Gnr. Sgt. Edward J. Smyth and Air Bomber P/O Thomas R. Wilson. There were three Polish secret agents on-board as well. All were laid to rest in Fovrfelt cemetery on 21.9.1943.
laid to rest as unknown English saboteurs in the civilian part of the cemetery. in care of the Commonwealth War Graves Comission.